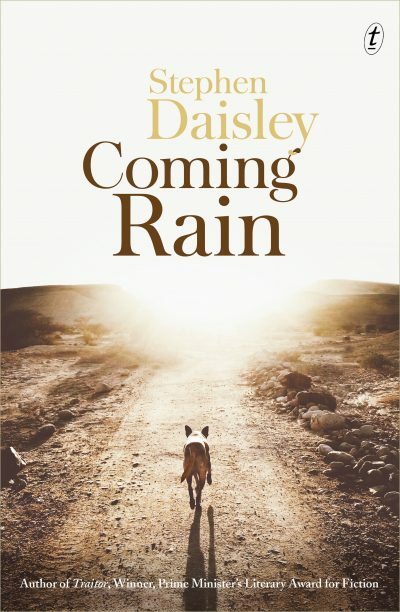 Novelist Stephen Daisley has won the NZ$50,000 (A$46,135) fiction prize at the New Zealand Book Awards for his novel Coming Rain (Text), announced at a ceremony in Auckland on 10 May. Daisley was born and raised in New Zealand but now lives in Western Australia, where he works as a farmer and shearer. Judges said his novel is ‘a universal story of love and aspiration, betrayal and disappointment. It was a book that all three judges came across joyfully and read with the ease of those who know they’re in the hands of a confident writer’. Three other award winners were also announced, each winning NZ$10,000 (A$9227). David Eggleton won the poetry award for his collection The Conch Trumpet (Otago University Press); Aroha Harris, Atholl Anderson and the late Judith Binney won the illustrated nonfiction award for Tangata Whenua: An Illustrated History (Bridget Williams Books); and Witi Ihimaera won the general nonfiction award for his memoir Māori Boy: A Memoir of Childhood (Penguin). Four Best First Book Awards were also announced, each worth NZ$2500 (A$2306). Richard Nunns won in the illustrated nonfiction category for Te Ara Puoro: A Journey into the World of Māori Music by (Potton & Burton); Chris Tse won in the poetry category for How to Be Dead in the Year of Snakes (Auckland University Press); David Coventry won in the fiction category for The Invisible Mile (Victoria University Press); and Melissa Matutina Williams won in the general nonfiction category for Panguru and the City: Kāinga Tahi, Kāinga Rua (Bridget Williams Books). The shortlists for the awards were announced in March. The New Zealand Book Awards have undergone significant changes since they were last presented in August 2014. Following the withdrawal of former sponsor New Zealand Post Group, a new charitable trust took over administration of the awards in October 2014 comprising members from the Publishers Association of New Zealand (PANZ), the New Zealand Society of Authors and Booksellers New Zealand. In July 2015 the trust announced a new structure for the awards, including the annual NZ$50,000 prize for fiction, provided by the Acorn Foundation, as well as the introduction of specialist judging panels in each category. In August the trust announced that Auckland-based property developer Ockham Residential had taken over sponsorship of the awards. For more information about the New Zealand Book Awards, click here.